Wine farm 67 of 800 is the dreamy Benguela Cove on the way to Hermanus in the Bot River Wine Route. This estate is owned by a women I might add. She bought a house and loved the area so much, that she decided to buy the entire estate and build an empire 🙂 Talk about GOALS! She has left some properties up for grabs though and you can check out the gorgeous homes and plots for sale HERE. BOOKINGS: Definitely book to avoid disappointment. CLICK HERE. to view all the different experiences on offer. 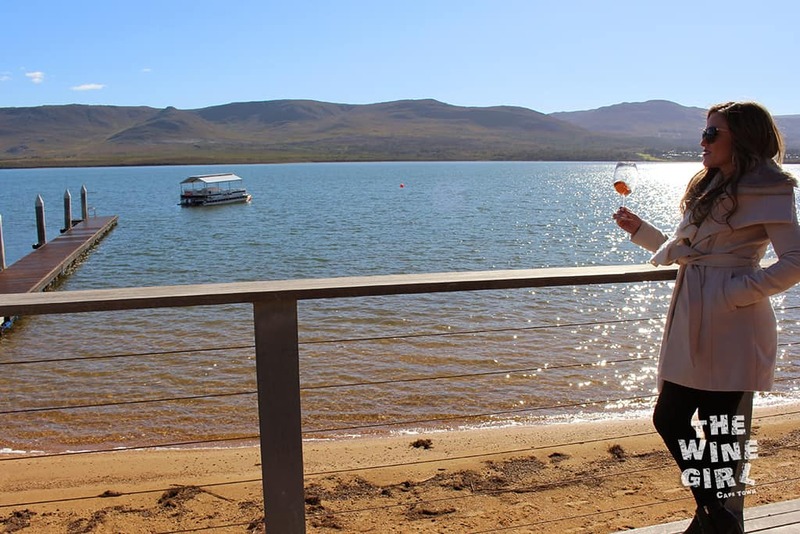 This includes vineyard tours, boat trips, wine pairings and fine dining. 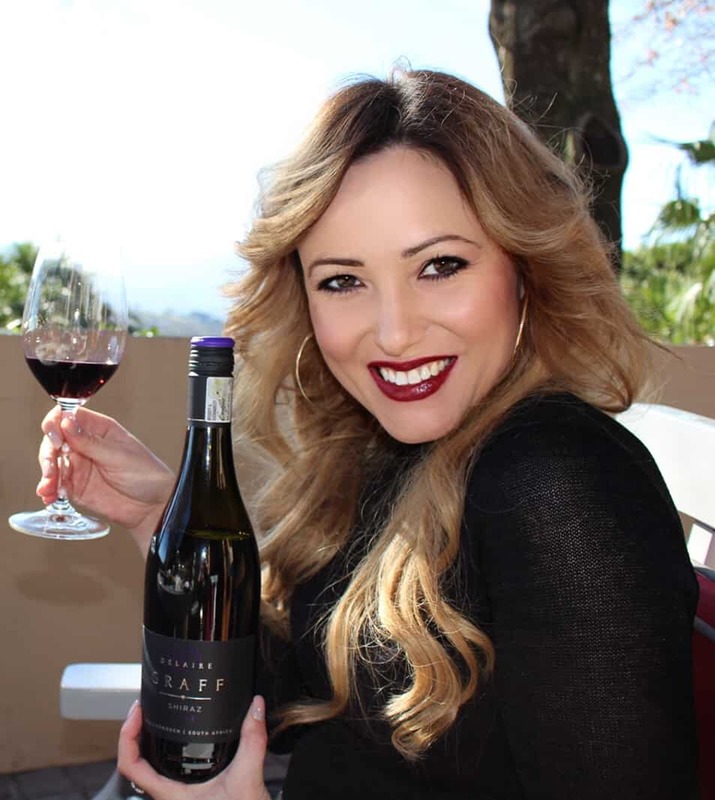 WINE TASTING: R50 to taste 5 wines. WHEN TO GO: Summer or Winter but I would really recommend the warmer, summer months from November – March to really appreciate the lagoon. RESTAURANT: You can order platters at the wine tasting centre however if it is fine dining you are looking for, there is a restaurant at the Manor just up the road. Booking is essential. CHILD/PET FRIENDLY? Not recommended for pets however there is a jungle gym at the tasting centre for the kids. LARGER OR SMALL GROUPS? Best for 2 – 8 people. LOCATION: About a 1.5 hour drive from Cape Town in the Bot River region. Google Map It is a beautiful drive. OTHER RATINGS: CLICK HERE to view what others have rated on Trip Advisor. 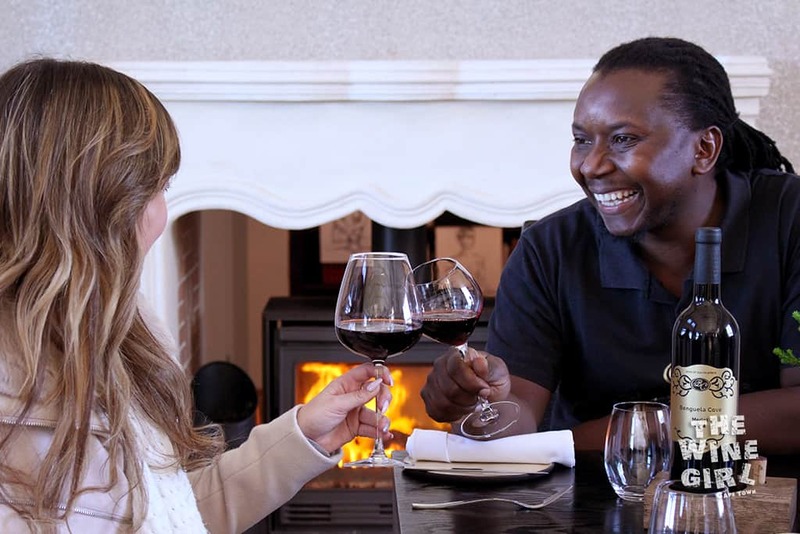 Its mid-winter so I was very fortunate to meet up with Jack, Restaurant Manager, by the fireplace at the Benguela Manor restaurant and function venue. We enjoyed the Merlot 2014. The wine was aged in a combination of new (25%), second fill (25%) and older (50%) French oak barrels for 18 months. It was a good, fruity Merlot with ripe tannins and I really liked the flirtatious, gold labeling. The restaurant is exquisite! Equipped with two fire places, a grand piano, private dining areas and modern art. They mostly work on set menus. R425 pp for a two course and R525 for a three-course excluding beverages. What’s really great about this restaurant in the summer months is the elaborate pool area. I mean, imaging just chilling here for the day? This area would be great for birthdays or even weddings. Here is the Tasting room complete with lagoon views, jungle gyms and even ducks! You can taste five wines for R50 or try one of the cheese pairings from R110 each. CLICK HERE to view the full menu. You definitely have to do the 4×4 vineyard tour for R250 per person. It’s about an hour and you will get to see the entire estate with exquisite views of the lagoon. Our tour guide was Paul who was extremely friendly and informative. It’s a great opportunity to taste wines, standing on the very vineyard you are standing on. Another great activity at the farm is the boat trips. The Lady Bonnie pontoon boat can seat up to 12 passengers. Cruises are set for the duration of one hour, in daily time slots of 9.45am | 11am | 12.15pm | 13.30pm | 14.45pm | 16.00pm | 17.15pm | 18.30pm at R250 pp which includes complimentary Benguela Cove wines. 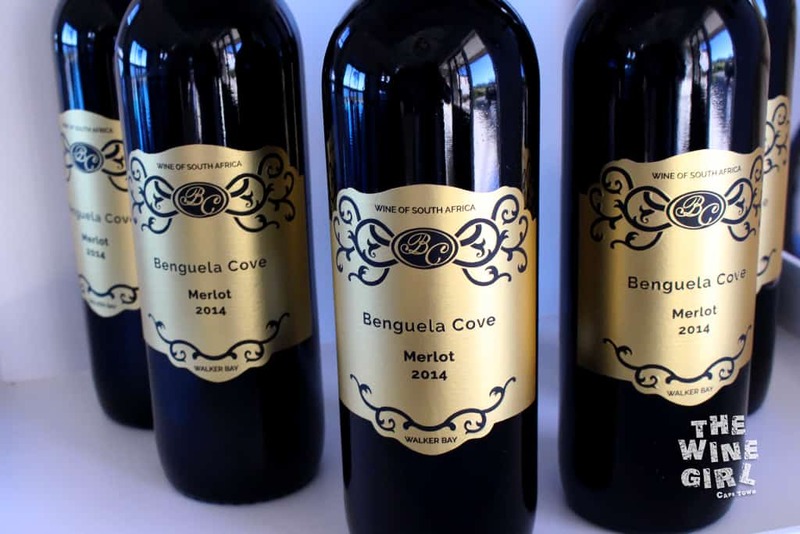 Benguela Cove has a brand new, state of the art cellar. 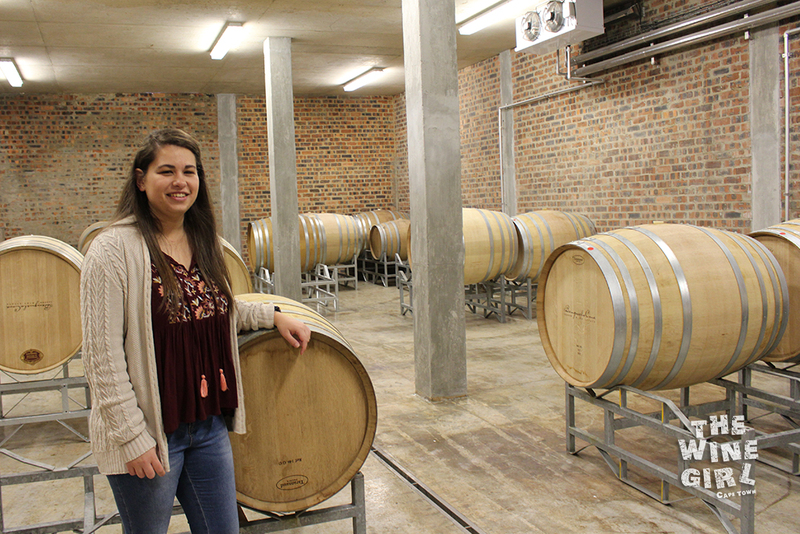 I met up with Michelle, Assistant Winemaker to Head Winemaker Johann Fourie. 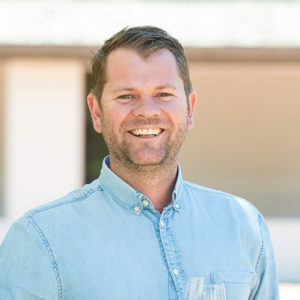 Johann is the 2015 Diners Club Winemaker of the Year. This cellar is definitely the most modern I have ever seen! I mean, it even has crystal chandeliers. 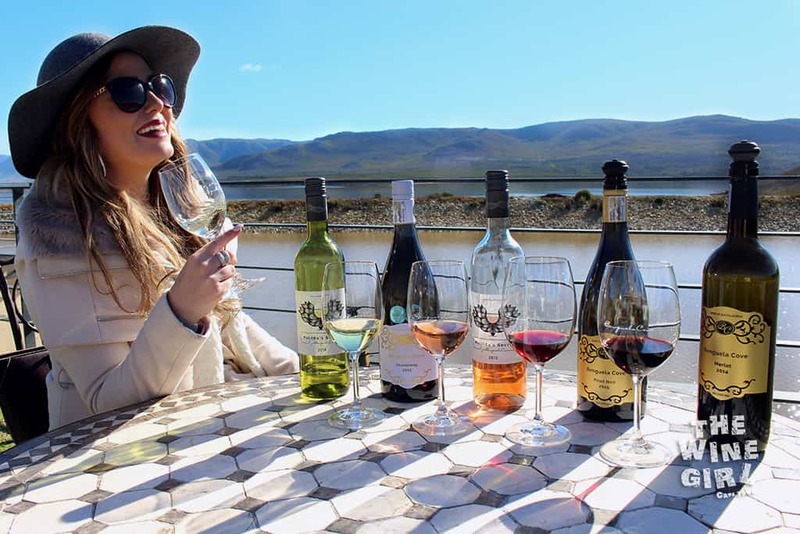 So which were my favourite wines at Benguela? 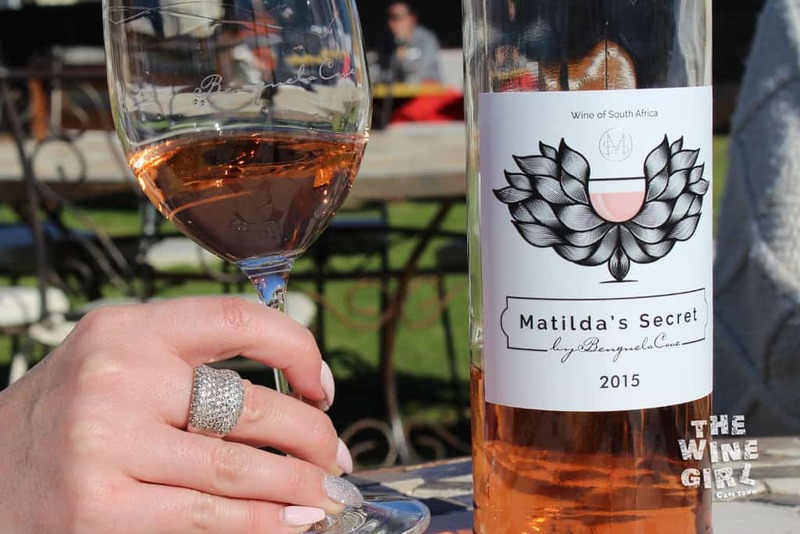 The Matilda’s Secret Rosé 2015 was interesting to me because it was not only dry with strawberry flavours – it also had a floral nose. 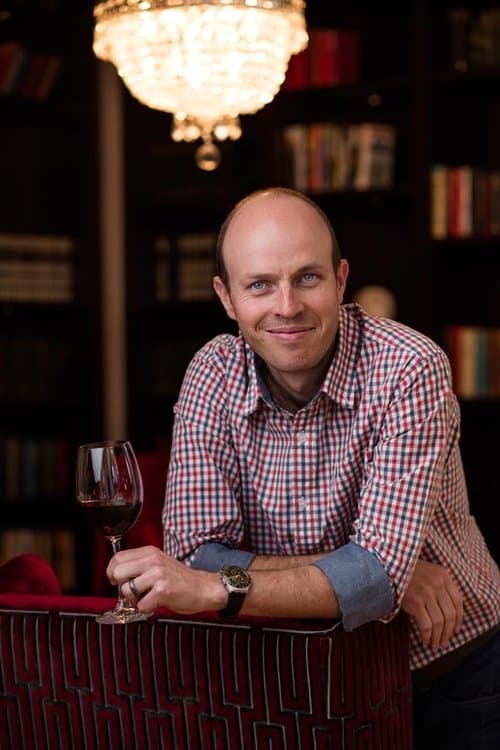 It’s a blend of Shiraz, Mourvedre, Viognier which gives it quite a beautiful, vibrant colour in the glass. Totally girly! I mean just look at this label! 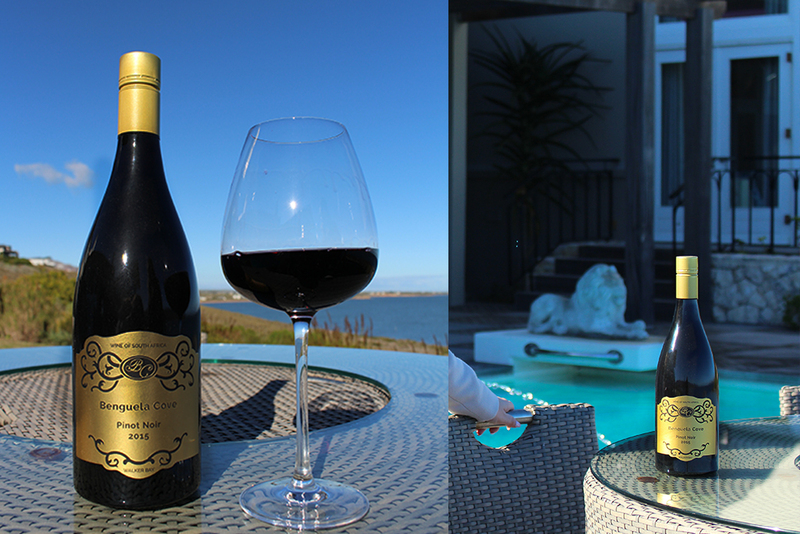 Of course, when you are in the Hermanus region, you have just got to love Pinot Noir too. You have got to switch your brain when it comes to this grape variety. Drink it slightly chilled like a white wine, yet expect the full bodied taste of a red. This Pinot Noir was quite dark in the glass and had very good strong notes of spices and forest floor on the nose. I always like to describe it as “that smell you get when you walk into an old cellar”. I just love it! This is definitely the right spot to enjoy wines overlooking the lagoon and watching the sunset. Book and arrive early to secure your spot!